You don’t like the portals always have the same shape and structure? Would you like to make it your own? Well that’s easy with this mod. Enhanced Portals 1.7.2 and 1.7.10 allows us to create portals with the shapes and dimensions that we want, as long as we follow the basic rules for the portal, ie obsidian frame and empty inside. These portals not only allow us access to the Nether, because we can configure multiple shared frequencies between portals, to move around the world more quickly, for example making one in mine and another in our house. 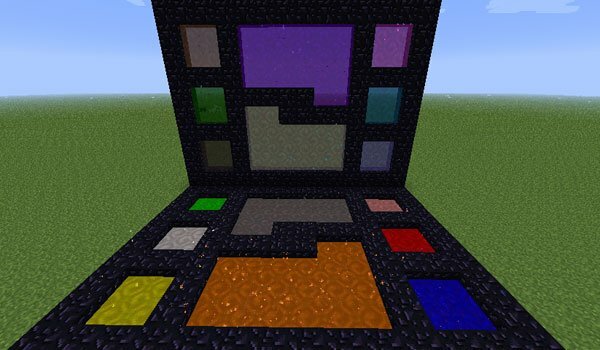 With this mod we can also change the dull purple portals for many colors as dyes in the game. To do this, we just apply the dye on the portal. How to install Enhanced Portals Mod for Minecraft 1.7.2 and 1.7.10? Paste the mod downloaded file, inside .minecraft / mods folder.